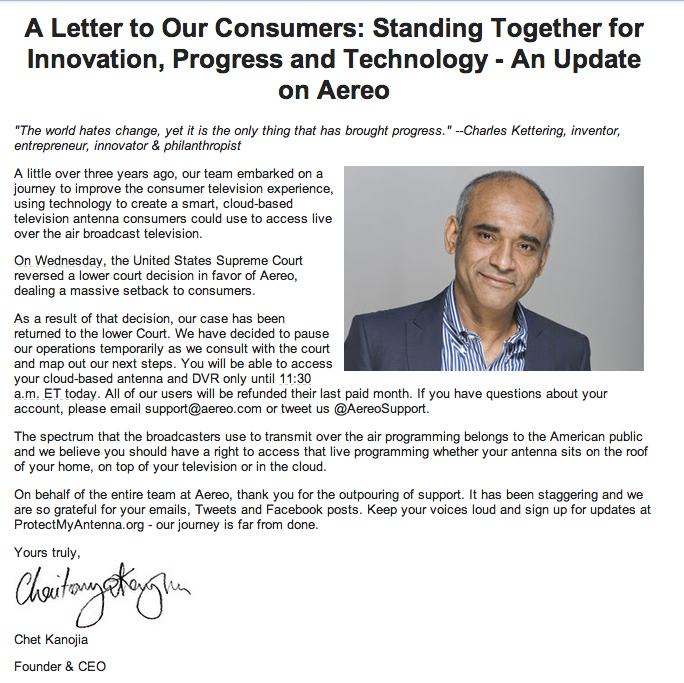 On the heels of its Supreme Court loss, Aereo has announced it will suspend service starting today at 11:30am, Eastern Standard Time. CEO Chet Kanojia announced the suspension in a letter to customers this morning, saying the service would be temporarily paused as the company consults with the court on possible next steps. All users will also receive a refund for their last paid month of service.